2018 prediction lists are coming in and when it comes to the economy, pundits and economists seem to be feeling more positive. Manufacturing is predicted to have positive growth this year. The International Monetary Fund (IMF) has upgraded its forecast for global growth to 3.7%, claiming that in the developed world, which now includes China, manufacturing will be relatively healthy. In the last few years, manufacturing growth stalled in China as they worked to cut off an unprofitable flow of cheap exports. It seems China has now solved this problem, and manufacturing is once again on the upswing for 2018. Today’s global economy has absorbed past problems in China’s manufacturing, lessened the effects of the Greek debt crisis, and has even deftly dealt with Brexit. The good news for 2018 predicts a rise in global manufacturing and trade, and may see the highest output in decades. American tax cuts, end-of-year highs in the stock market, continued consumer confidence and stable oil prices all give economists enough reason to paint a positive overall global business and manufacturing picture. When it comes to predictions for 2018, five of the top tech trends to watch that are sure to change the manufacturing landscape are Personalization, Artificial Intelligence (AI), the Internet of Things (IoT), Predictive Analysis (PA), and Cybersecurity. David Bush, Senior Manufacturing Consultant for Rootstock Software claims these are trends manufacturers should watch and take advantage of in 2018 to help revolutionize end-use production. 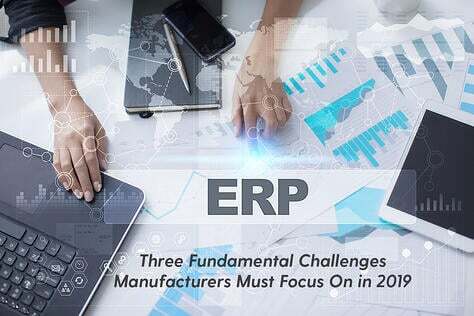 For an excellent short webinar addressing the “Manufacturing Trends to watch in 2018,” see the latest edition of the ‘Discover Rootstock ERP’ (Enterprise Resource Planning) webinar series, which covers a list of these trends and the challenges they represent. Personalization is sure to be a top tech trend this year. The ability to customize and personalize a product or service has helped manufacturers to differentiate, win and retain customers. After the success of 3D printing, and the IoT and AI role in manufacturing, personalization is the logical next step. Personalization is defined as the ability to suggest content to a format that is relevant to the individual user, based on the user’s behavior, preferences or provided details. 2018 will find most manufacturers under intense competitive pressure to provide not only customized products, but to improve on the entire customer experience by implementing a more personalized strategy. 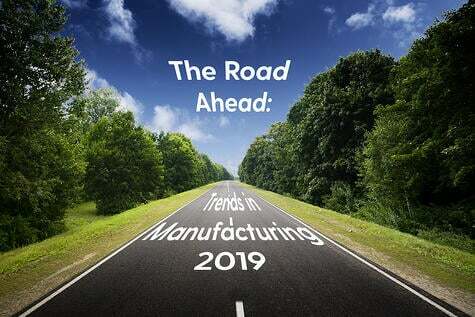 Manufacturing must support customization while it continues to deliver on operational speed, connectivity, flexibility and customer service. It’s a big order but personalization will help these enterprises stay competitive. 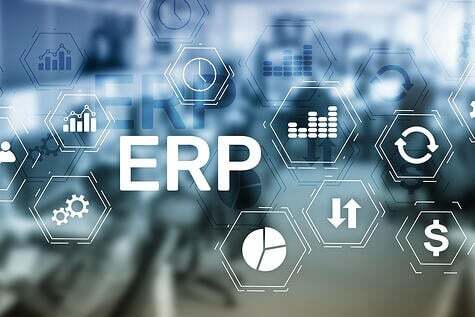 As ERP has evolved to handle customization, the ERP system a manufacturer uses must be able to handle personalization. As consumers can now buy something in an instant, and get what they want, when they want it, manufacturers are challenged to compete with more customization and personalization and ever shorter delivery promises. Money talks and for the larger client order, manufacturers need to be adept from the supply chain to the shop floor, yet still keep their make-to-stock operations running and delivered on schedule. Personalization is not just about the highly customized product, it is also about the customer experience. What are successful manufacturers doing in this new environment? In “Manufacturing In the Age of Personalization,” Tom Brennan asserts that “Companies are doing everything they can to increase response speed by compressing the time to generate quotes, turn orders into delivery, and the time to resolve issues and customer inquiries.” Businesses are finding that personalized products and services are giving them the competitive edge, and the more tailored and complete the customers’ experience or solution becomes, the more the manufacturer is rewarded with long-term loyalty and sales. Smart manufacturers will work hard to adopt the kind of automation on the factory floor that can deliver customization and personalization on an ever expanding scale. Apple, Intel, IBM, and Salesforce all predict the importance of AI in 2018, and are making a significant investment in AI technology. With its promise to stay ahead of the competitive curve, manufacturing is already infusing AI into their products in numerous ways both to the manufacturers’ and the customer's benefit. 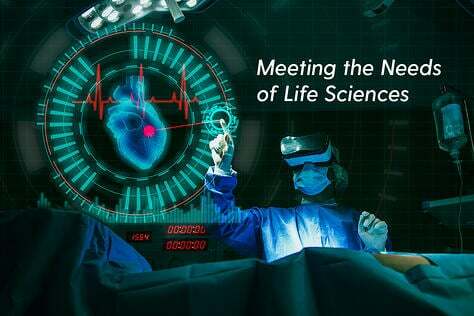 A recent Wall Street Journal story detailed how, in the medical field alone, AI technology is not only making life easier, it is actually saving lives. AI programs now diagnose pneumonia on chest X-rays more accurately and help radiologists read the mountains of data that medical imaging X-rays generate. In many AI applications, the imaging machine will predict and sort the most relevant information. While the radiologist still makes the final determination or interpretation on what data to use, AI makes use of the algorithms, and the machine is trained to look for the right data. Cars manufacturers continue to be smarter by using self-navigation systems like Navdy. This AI infused tech system for navigation and driver notifications relies on advancements in AI in both design and application. Driverless car technology is not going away and is forecasted to increase in 2018. AI is also the vital technological ingredient in industrial robots, now used in global manufacturing operations. Industrial robots rely on AI technology and are now widely used in automotive, electronics, and all types of machine industries. China calls this “intelligent manufacturing and robotics” and claims it is the hope for continued economic growth in 2018. From medical technology to automated driving to industrial robots, AI will continue to evolve and enhance product improvements in the coming years. While health care and automotive industries are heavily invested in AI, expect to see both AI and IoT (the Internet of Things) technology to now significantly increase in almost every large scale global manufacturing operation in 2018. Manufacturers will begin to see an improved yield from the ability of the deep learning in AI and IoT to uncover and alert quality failures in their plant operations so that corrective action can be taken. Real gains in efficiency with IoT are now making manufacturing news because, like AI, IoT helps to transform manufacturing operations by infusing IoT to solve problems or challenges in the manufacturing process. Smart manufacturing brings IoT to its hardware (machines) so that these deep learning advancements in algorithms, sensors, data streams can now transform the shop floor. In Rootstock’s webinar, David Bush predicts “No matter what you manufacture, IoT will change how you make it.” What makes IoT different is that it doesn’t rely on people and really doesn’t need human intervention to function. IoT sensors collect, communicate, analyze, and act on information, so it offers real value by connecting basically anything that has an on-off switch from computing devices to screw machines. For manufacturers, IoT technology is becoming part of the production value chain, and this important tech trend makes it easier to track, monitor and manage assets. It knows when a machine is overloaded or down for repair and can automatically switch jobs to other resources. In the global supply chain, the efficiency inherent in the IoT even allows commodities to be traced more accurately from point-of-origin to point-of-sale. Manufacturers need to make and market the right products to the right customers at the right time. To do this, they need to find those right customers. Predictive analytics helps by producing the best customer lead, which is vital to a products’ sale. PA helps a manufacturer construct a good lead that might start from a personal or company profile on a CRM dashboard to an accurate prediction of a possible buyer using a formula brought about by PA methodology. PA uses an equation to predict a buying decision from the lead that is based on related values of linked variables called regression analysis and the formula is successful in proving (or disproving) an assumption or prediction to buy. PA is the practice of extracting information from existing data sets in order to determine patterns and predict future outcomes and trends. PA doesn’t tell you what the future will bring, but it helps determine it by using data, employing statistical algorithms and machine learning techniques to identify (or predict) the likelihood of a future outcome. PA goes beyond past data outcomes to providing a better assessment of future ones. As PA gains in popularity and practice, businesses are tossing aside a reliance on gut feelings and past historical data, and now using identifying patterns in the data from PA which predict the probability of something happening in the future to better predict outcomes. And for those manufacturers concerned with cybersecurity, PA is useful in detecting fraud by combining multiple analytic methods that can improve pattern detection and prevent criminal behavior. Like the battling Romans and Carthaginians of ancient times, computer hackers try to get at a competitor’s vital and sensitive data or information. Compromised sales data, intellectual property, blueprints, ID data, and anything of value to the manufacturing operation needs to be protected from hacking and/or cyber security threats. One of the main reasons hackers are successful in the manufacturing silo is that they enter through a door of corruption and/or carelessness left open by employees. In the past, manufacturing technology was traditionally devoted to performance and safety, not security. 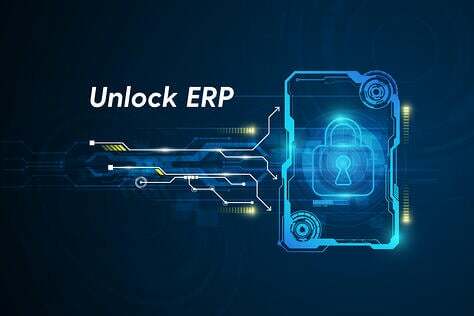 Manufacturers can address cyber security in a good cloud based ERP solution that will prevent problems by using a layered data protection program that works to secure data sharing. A reputable vendor looks for pathways that can be compromised. 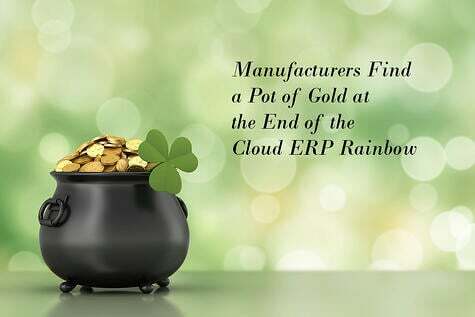 When it comes to security and reliability, Salesforce, a recognized industry leader, offers a cloud based ERP platform to manufacturers that is reliable and non-disruptive, and has multi layered security controls and upgrades that are easily installed. 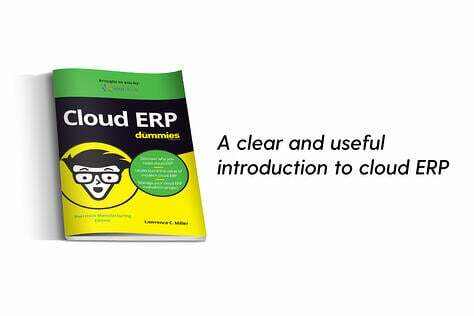 The right ERP solution will manage any threats or problems and keep the manufacturing enterprise on course. 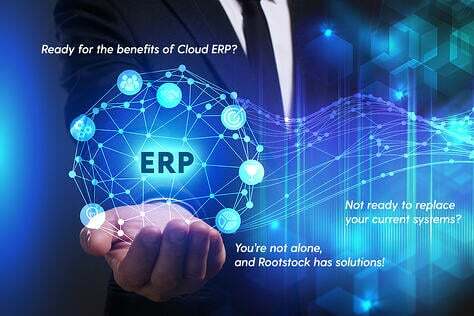 The great advantages of a cloud-based ERP solution is not only its security, but its scalability: the capacity to grow to scale in real time so that a company can handle millions of users, and then add many more in just hours.